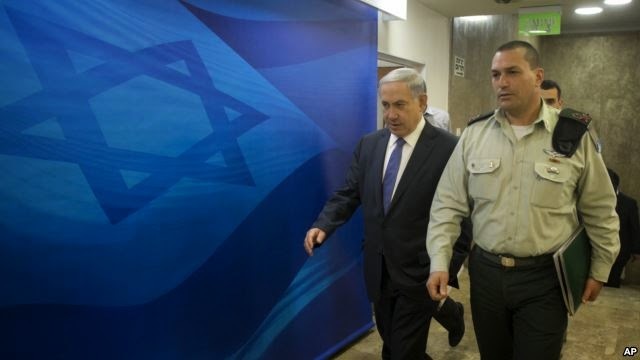 (VOA)—Israeli Prime Minister Benjamin Netanyahu called for "massive" Jewish immigration to Israel in the wake of the shooting at a synagogue in Copenhagen that left a 37-year-old Jewish security guard dead in the attack. Speaking Sunday at the weekly Cabinet meeting in Jerusalem, Netanyahu said Jews deserve to live in security in every country, but he questioned whether Europe could provide it. He said anti-Semitic attacks "are expected to continue in Europe... where Jews are being murdered because they are Jews." The prime minister blamed the attacks on Islamic extremists.